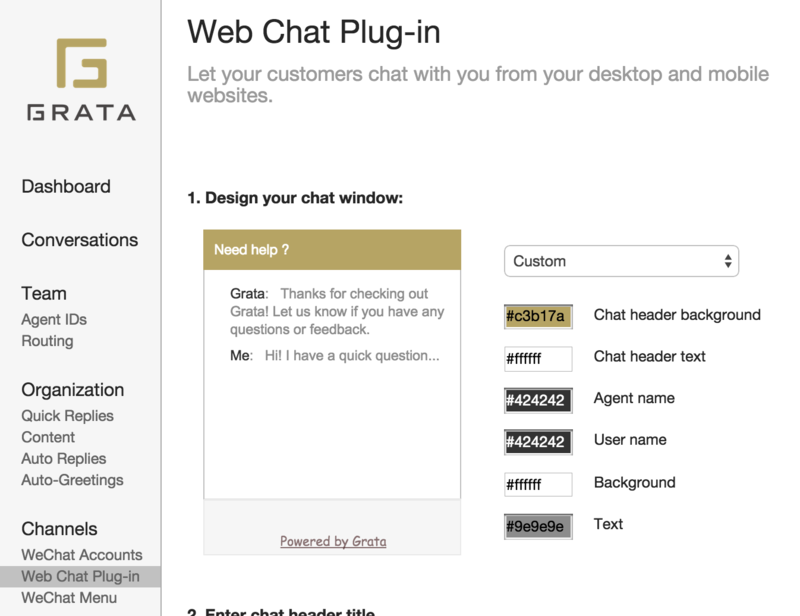 Follow the simple steps below to add Grata’s web chat window to your desktop and mobile website. You can edit the appearance and other settings from your Admin backend at anytime. 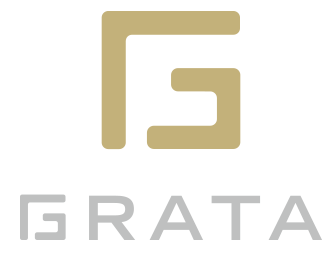 Grata’s web chat currently supports two-way text and images, and agents can additionally send link cards to web site visitors. 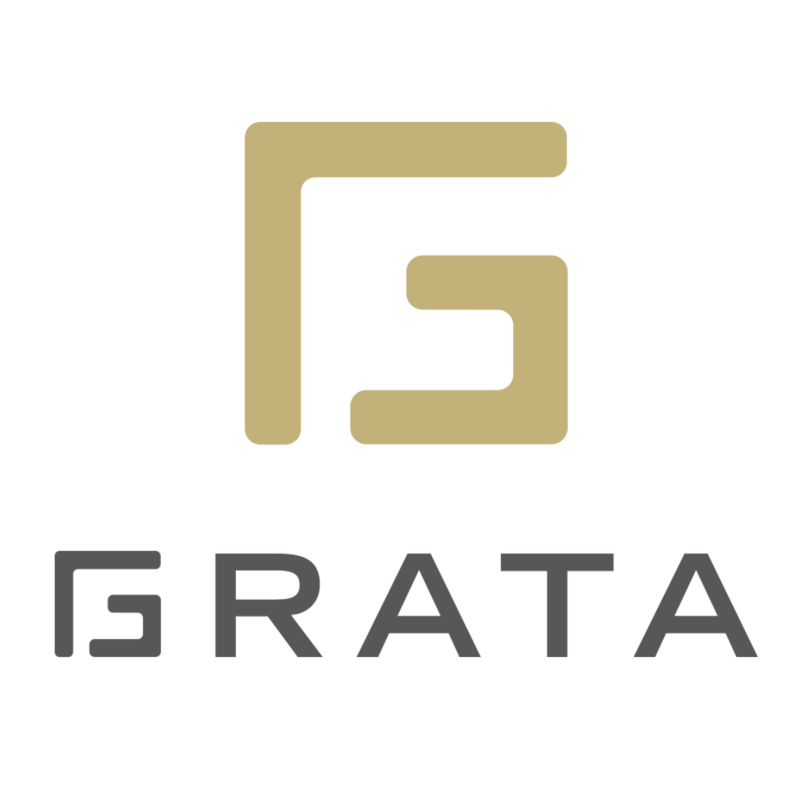 Grata’s web chat loads asynchronously, meaning it won’t affect your site’s load time. Log-in to your Grata account and open the Admin Panel (located in the drop-down menu under your username at the top right of the console). Select “Web chat” from the side menu options under Channels. Customize the look and feel of your chat. You can make updates to the appearance at anytime later as well. Clip on the “Copy plug-in code” button on the top right of the screen. Open your website’s HTML file in a text editor, paste the code just before the closing body tag of your site (</body>), and save the file. 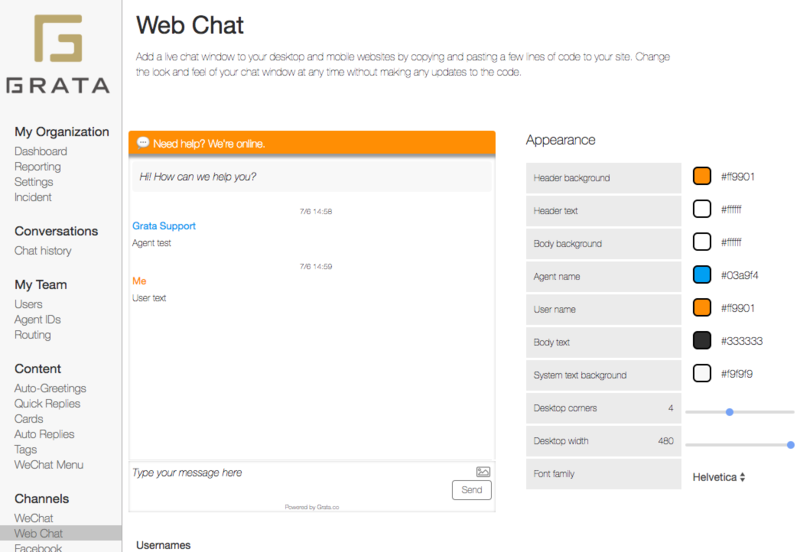 Your web chat plug-in should now be live. Open your WordPress backend and under the Appearance section in the side menu, select Widgets. Find your Footer text widget and select the Text tab. Paste the code at the end of any footer text. Click save.